One of Nelson secluded secrets, home to one of our more “out-of-the-way” public use motor camps, with the majority of properties in a riverside setting and very popular with those in the “know”. Most properties up here are of the “enjoy the sound of water, the peace and tranquility of nature along with birdsong?” type. The Matai River runs through the valley and is often a fundamental reason why many residents moved here n the first place. 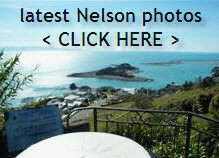 No shops – need to drive down the valley to Nelson / Nelson East for that one.